Replacement Callum Chick scored the decisive try in the eighth minute of added time as Newcastle Falcons edged out Montpellier 23-20 in their Heineken Champions Cup clash at Kingston Park on Sunday. This is their second consecutive win in the competition after beating Toulon in the previous round as they claim the top position in the Pool 5 table while Montpellier are at third. Newcastle will be delighted by their performance in the competition and will be hoping to take the momentum forward in the Gallagher Premiership where they are at the bottom of the table with a solitary win from six games. 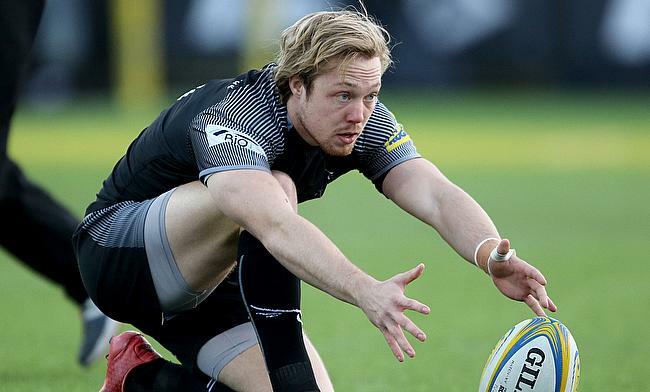 Gary Graham, who was called up to England's Six Nations squad earlier this year scored the opening try in the fifth minute with Joel Hodgson kicking a penalty and a conversion on either side to take the Falcons to a 10-0 lead. England boss Eddie Jones was among the 6383 spectators present in the Kingston Park. Ruan Pienaar led the response from Montpellier with back to back penalties in the 11th and 17th minutes but his efforts were negated by Hodgson as the teams headed into the break with a 16-6 lead. Pienaar helped the visitors narrow down the gap to just four points with two more second half penalties and they soon went on to take the lead Paul Willemse drove over a line-out for a 69th minute try. Pienaar missed out on the conversion but kicked a penalty goal as Montpellier had a 16-20 lead by the 73rd minute. It looked all out for the hosts when Logovi'i Mulipola was sin-binned in the 74th minute and despite the setback the Falcons continued to press on and eventually Chick went over in what was an extended game with an injury time of eight minutes and 45 seconds added to the clock. Hodgson kicked the conversion as Falcons completed a 23-20 win.